When Selkie Moon wakes up naked and disoriented on a Hawaiian beach, two weeks after last being seen by anyone, the authorities have given up on trying to find her. They figure if she were alive, she would have turned up by now. But Selkie Moon is very much alive, and it’s lucky for her she has such good friends who have kept a constant vigil for her on the beach. While her friends take care of her physical needs, Selkie tries to remember where she’s been and what’s happened to her. The last Selkie remembers she went to visit her mother’s gravesite at the famously accursed Bantry’s Bluff. To find the answer Selkie will have to do more than just search her memory, she’ll have to piece together a mystical puzzle which will take her to the other side of the world in her quest for clues. I very much enjoyed following Selkie on her journey. King skilfully manages the difficult feat of combining mystery, psychology and folklore to make for a beautiful tale of love lost, and found. 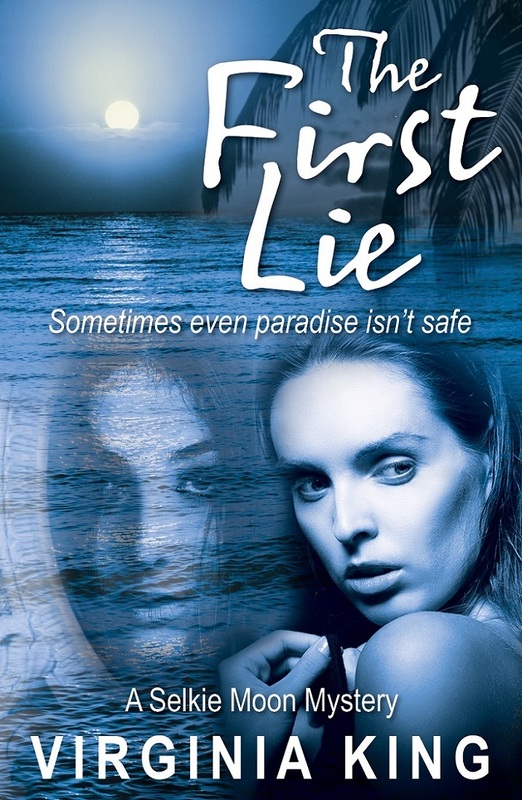 After having read, and loved, The First Lie, I had high expectations for the second book. King did not fail to deliver the results I was hoping for. 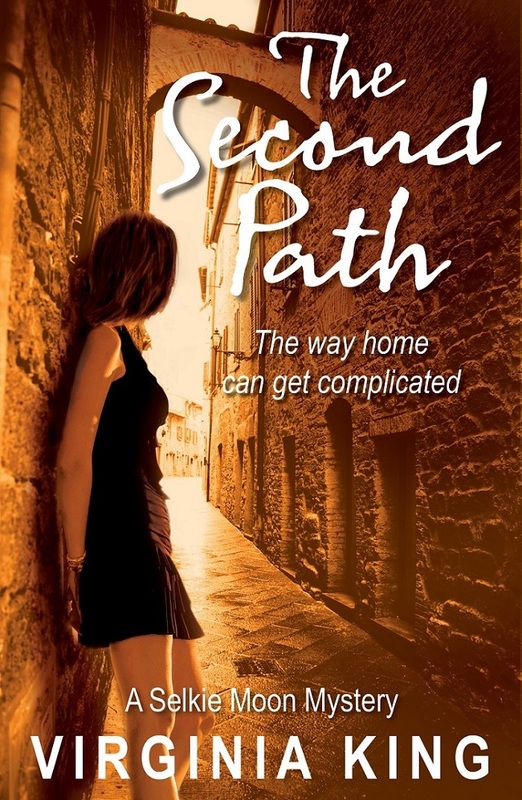 The Second Path is every bit as intriguing as The First Lie, and while this novel could be read as a standalone, I’d highly recommend that readers enjoy them together. Once again, King managed to keep me riveted to the page as I sought to discover clues to Selkie’s missing memory. I love how she combined psychology and mysticism in the novel which makes Selkie’s journey feel both magical and everyday, as though what she experiences could happen to anyone, given the right set of circumstances. Virginia King paints a vivid portrait of life in Hawaii for the young Australian, Selkie Moon. Selkie has moved to Hawaii to escape her less than enchanting past: a husband she never loved and a father and stepmother who feel they would have been better off without her. Not to mention the memory of her seemingly beautiful and perfect, but dead, mother. Will Selkie’s past catch up with her? The tension in this novel means you won’t be able to stop yourself from reading on to find out. A beautifully evoked, atmospheric, psychological mystery laced through with myth and the intrigue of the supernatural. Although the thrill of Selkie Moon’s adventure kept me turning pages, the characters and setting made me want to linger. King’s characters are true to life and easy to relate to. Her descriptions are both accurate and lush. Even the food is so brilliantly rendered that I only wanted to eat noodles and sushi while reading this novel. I would highly recommend this book to anyone who loves a good mystery, but also to anyone who loves a great character novel, as well as those interested in psychology. Hi Virginia, It’s my pleasure. 🙂 And I look forward to hearing more about Book Three! You used ‘my’ word for The Second Lie – riveting! I’m only a quarter of the way through but can’t put it down. Thanks to you, Kendra, for a wonderful review and to Virginia for a fascinating story.